More ColecoVision compatible consoles are on the way, Opcode Super Game System, HB Vision and CollectorVision Game System. 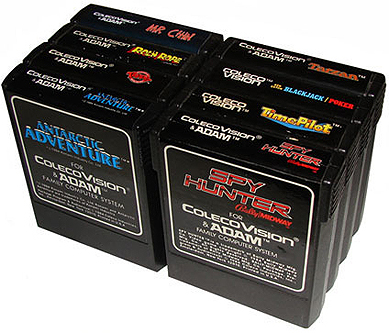 ColecoVision has exclusive games as well as a number of enhanced titles that are optimized to take advantage of superior performance. You can, of course play all your standard ColecoVision games, and with a Super Game Module or similar accessories, are there around 200 Homebrew games in which many of them in enhanced quality.